9G Health Foods is proud to offer the world’s best cloth menstrual pads! The Paysan Pure pads are both Affordable and Sustainable. They come in both Organic and Unbleached in a variety of sizes. No dyes are used. 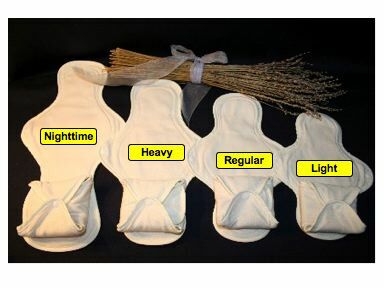 You will not find a better quality menstrual pad on the market today! Paysan Pure makes ordering and care instructions simple and carefree; allowing the transition from disposable to cloth easy and within your means. You will be glad that you made the change! Your body and the future generations will thank you! The average woman will spend about $7.50 per cycle on disposable pads or tampons. In the course of her fertility, she will spend an average of $2,430. If she uses cloth pads, that number is reduced significantly. With an initial investment of a couple hundred dollars, she is able to save thousands! Besides the financial savings, she will also have the peace of mind knowing that her body is not in contact with dioxins and furans; both of which COST a percentage of her health. PUL, or polyurethane laminate, is a waterproof, breathable material used as a leak-proof barrier between the cotton layers of Paysan Pure pads. 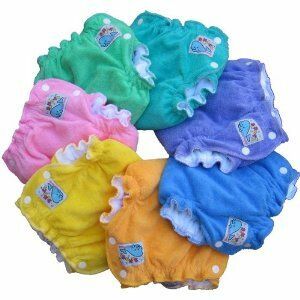 PUL is used by many manufacturers in the cloth diapering industry and is considered safe by standards of CPSIA (Consumer Product Safety Information Act) and the US Government. Additionally, forms of PUL (called TPU) are used by the medical profession for the dressing of open wounds because it is a non-irritant and is approved by CPSIA standards to be free of hydrogen cyanide, pthalates, diisocyannates, formaldehyde or lead – materials that are often associated with the production of synthetic materials. PUL is safe to use on women and children even on the most sensitive areas of the body. Sill, some have asked the question, “Is PUL safe”? YES! PUL is comprised of inert substances that will not expose you to potentially toxic fumes or chemicals. If you would like more information about PUL, you can visit: http://www.cpsc.gov/ABOUT/Cpsia/cpsia.HTML. We understand the desire of our customers to buy only the best products for herself and her family. We have taken great care in choosing the best materials to make the best menstrual pads on the market today! Dye-free organic or unbleached pure cotton and a safe waterproof barrier makes Paysan Pure the best choice! Some prefer to soak first with a small amount of vinegar and water. Or, you may directly run through 2 washing machine cycles on “delicate” using a gentle detergent and dry on medium heat. Alternately, hand wash and line dry. 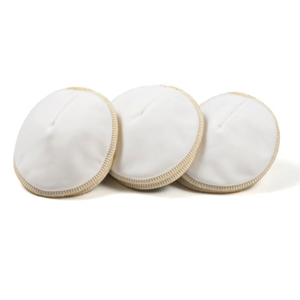 Paysan Pure menstrual pads come in two fabrics: Unbleached Cotton and Organic Cotton. Shipping is FREE inside the USA (to include Alaska and Hawaii) on all orders. I was hesitant ordering this but I am very surprised. I bought the organic cotton. They are very comfortable and not bulky. They stay in place really well and most importantly, I don’t have any kind of allergic reaction. I am going to more. They are wonderful! !